What was true last year still stands today: I definitely have a fetish of some sort when it comes to French Black Metal bands. As such it came to no surprise to me when I discovered that the Paris-based quartet hiding behind the moniker Mourning Dawn made music right up my alley. Their newest release will bear the title Waste and is a testament to sheer dedication to both detail and perfection: The band has managed to splendidly mix and add both Black and Doom Metal together into a perfect hybrid of the two, having strong ties to both parent genres, yet not being a true descendant of either. Now normally I do not take kindly to such an approach (mixing genres conflict with my very square logic), but in this case, it comes together to create something new, something exciting. 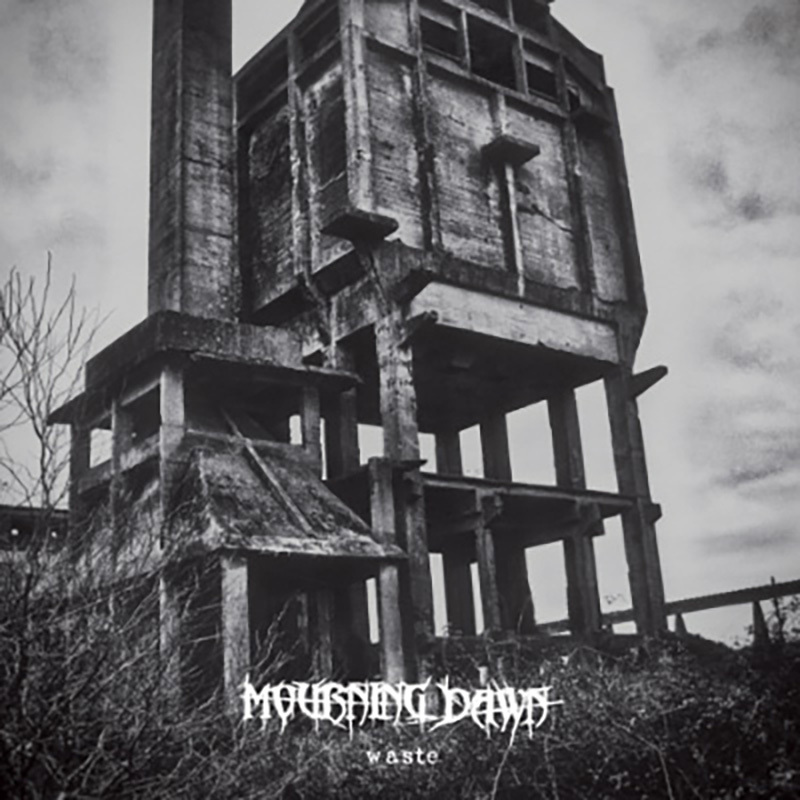 With the music being slowm paced, heavily distorted and with matching growls to boot, Mourning Dawn still decided to throw in several musical effects for a stronger sense of ambience and atmosphere. These effects include, but are not limited to, some very powerful, frightened female screams, which i found most endearing. As for the utter amount to detail, I feel that I only need to point towards the track list present upon Waste: It contains a grand total of three tracks, hiding behind the names ”The One I Never Was”, The One I’ll Never Be” and the titular ”Waste”. The fact that the two first tracks share an almost identical title as well as the powerful similarities between the two makes these a great match for one another. That aside, the titular track is also very provocative in its own right. But the true kicker lies in the length of said tracks: All three of them have the exact same running total, ending at twenty-four minutes and twelve seconds. And considering that there is, as stated above, three tracks on this record, this means that Waste has a running total on an impressive seventy-two minutes and thirty-six seconds. And not a single moment of these is to be considered wasted. I enjoyed every single moment of this grand record, and I will be looking further into both the past and present albums from the French band known as Mourning Dawn. But then again, I am quite biased in that aspect. Sadly I have not been able to find a full version of any of the tracks anywhere on the internet, but YouTube did provide a small measure, at least. Below can be found a teaser trailer for the upcoming album. Enjoy. Recommended for fans of Who Dies in Siberian Slush, Ahab and The Great Old Ones.